What next now? Godse didn't kill Gandhi, bullet ... Is Shiva a drug consuming God? Is Muslim population growing in India? The biases and misconceptions about conversions and population growth have been used by communal forces to divide the society. This became apparent once again when Minister of state of Home, Kiren Rijuju tweeted that that Hindu population is decreasing in the country as Hindus don't convert and that minorities in India are flourishing unlike in the neighbouring countries. This is pointer to the fact that while charting out the future projections it is important to keep in mind that the rate of growth of Muslim population will be falling and will stabilise closer to that of rate of rise Hindu population. In the total population Muslims will remain a religious minority for the times to come. Interestingly the population increase of Hindus during the period of 2001 to 2011 has been 133 millions, which is close to the total population of Muslims in 2001. The scare being spread through word of mouth campaign and through social media about Muslim population taking over the Hindu population holds no water, as there are clear trends of decline in the decadal rate of growth of Muslim population as well. The demographers point out that the higher rates of fertility are due to lack of education and poor health facilities. Muslims in Kerala have a lower fertility rate than many Hindu communities in North India and even in Kerala. The economic profile of Kerala Muslims is much different than the Muslims in Assam, West Bengal, UP and Maharashtra for example. If we broaden this point we will see that the rise in population among Dalits (Schedule castes) and Adivasis (Scheduled Tribes) is much higher as such. As per the 2011 census STs are 8.6% while they were 6.23 % according to 1951 census. SCs now are 16.6%, while as per 1951 they were around 15%. BJP President has called for the 'Look North East' to raise the scare about the Christian population in the North East. This primarily Tribal area saw the increase in percentage of Christians in the decades of 1931-1951. The rise in percentage of Christian population has a lot to do with the spread of Civil Administration with Independence and also with the spread of education in the region. Country wide we can see that the percentage of Christians is static from last few decades. If at all it has declined and stabilised. If we see from 1971, we see that Christian population was 2.60% (1971), 2.44 (1981), 2.34 (1991), 2.30 (2001) and 2.30 (2011). In the meanwhile the propaganda of Missionary activities and increase in the number of Christians has dominated the scene. The anti Christian violence came to the public attention with the ghastly murder of Graham Stewarts Stains (1999). Dara Singh of Bajrang Dal, which is affiliated to RSS, incited the local people that the Pastor is doing conversions which is against Hindus. Wadhwa Commission, which investigated Pastor Stains murder, concluded that he was not involved in the work of conversion and that in Keonjhar, Manoharpur Orrisa where the Pastor was working, there was no increase in the percentage of Christian population. Similarly Kandhmal anti-Christian violence was unleashed on the pretext of murder of Swami Laxmananand. Gujarat also saw anti Christian activities again due to propaganda that the Missionaries are converting. At the same time we see that the national population of Christians remains static. Some people do allege that conversions to Christianity are there but the converts are hiding their religion, this is again a matter of conjuncture and nothing definite can be said. Any way it cannot be a large number in any case. As such conversions have been a part of the agenda of Hindu nationalism times and over again. During freedom movement two parallel processes of conversions were going on. One was Tanzeem, which was to convert the people to Islam, the other was Shuddhi which was aimed at those who were supposed to have left their 'religion-home' and were converted to alien religions. The premise was that conversion to other religions has made them impure so they need to be brought back through a process of purification. Last several decades RSS-VHP-Vanvasi Kalyan Ashram have been active in what is called Ghar Wapasi (return Home) to bring back the Dalits and Adivasis who it is alleged have been converted through force (to Islam) and allurement or fraud (to Christianity). This Ghar Wapasi campaign has been undertaken through many newly devised rituals like bath in hot spring or rituals around fire. This has been rampant in Adivasi areas and in slums-villages. Adivasis are animists, while RSS claims they are Hindus. To Hinduize them, Vanvasi Kalyan Ashram now runs a growing network of schools and hostels in large numbers in North East. Such assertions and accompanying activities have more to do with politics rather than social welfare as such. The attempt of RSS combine is to link religion with Nationalism. What next now? Godse didn't kill Gandhi, bullet did? How arrogant Virat Kohli lost the plot! 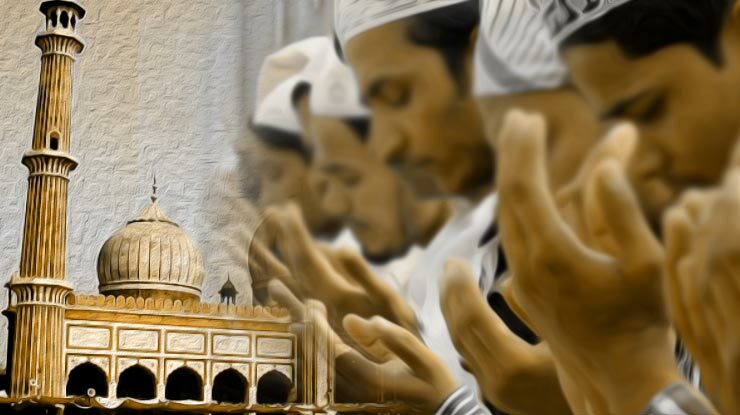 Can Indian Muslims be called Hindus? Massacre of "Mast Qalandar" : Not just a terror attack!